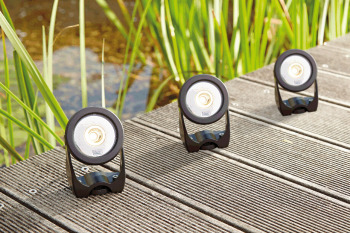 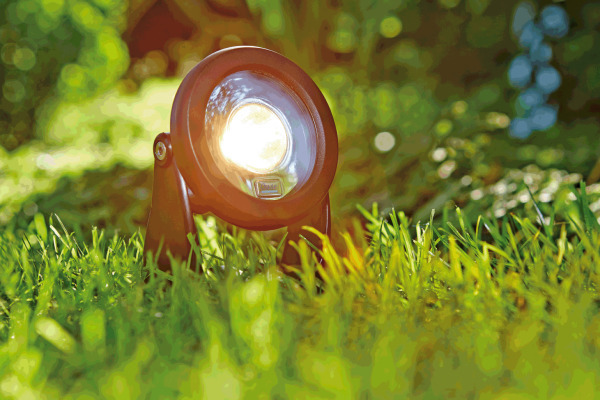 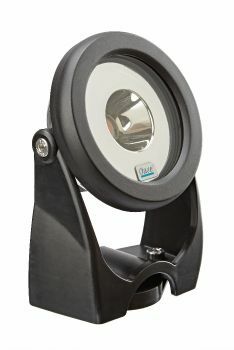 The brand new OASE Lunaqua Power LED Spotlights feature a cutting-edge 5.8 watt LED which produces a powerful warm white beam equal to a 50 watt halogen spotlight. 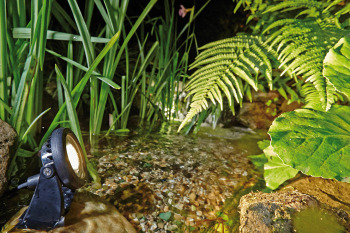 The compact A++ energy efficient spotlight is fully submersible (IP68 Rated) and can be used above or below water. 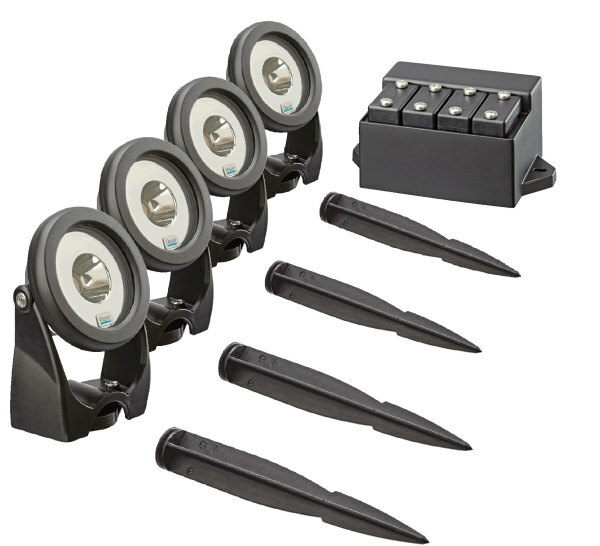 The LED Spotlight set also features an innovative, fully submersible transformer with special IP68 cable terminals for up to 4 spotlights. 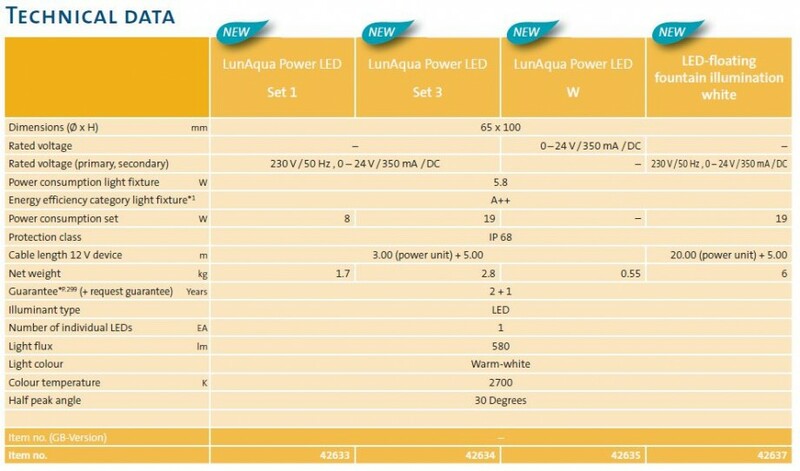 Each of the Lunaqua Power LED Spotlights will produce 580 Lumen output with a 30º half peak angle and a 2700K Warm White light output. 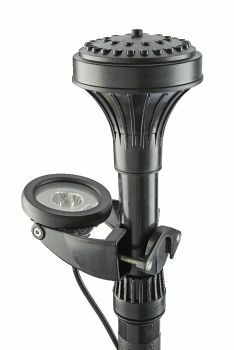 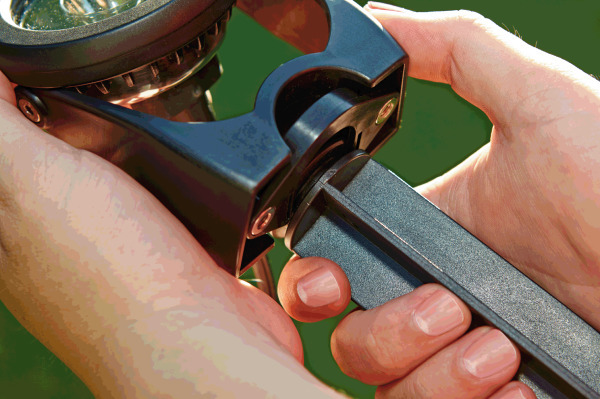 The mounting bracket offers a great deal of versatility and allows the LED Spotlight to be secured to a fountain pump riser (e.g. 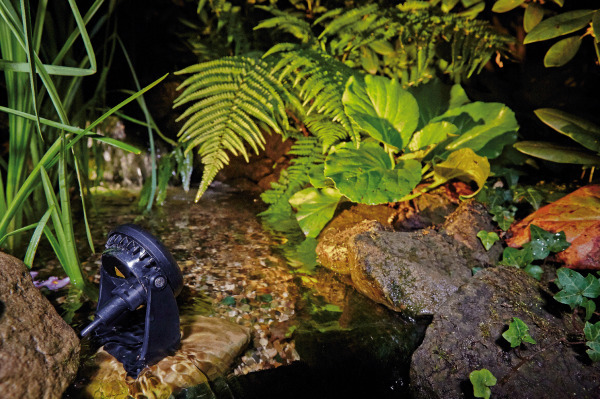 the Aquarius Fountain Sets 4000 - 12000 and the new Aquarius Fountain Set ECO 5500, 7500 & 9500 pumps) or to a wall, pond shelf or on to soft ground using the supplied detachable ground spike. 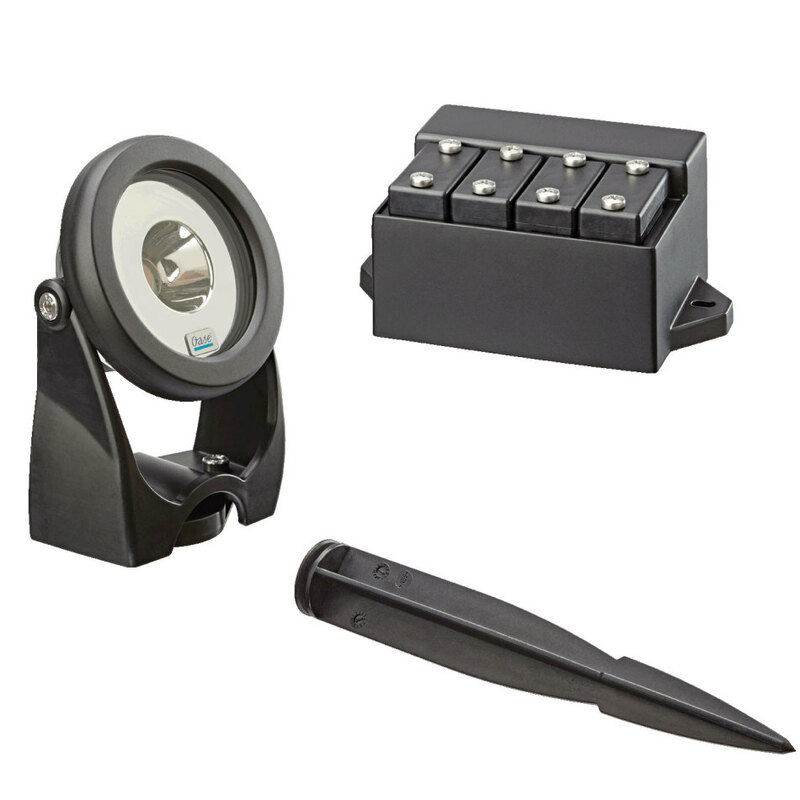 Each Power LED Spotlight is supplied with a 5m low voltage cable with special terminal for connection to the submersible transformer. Each 5 metre spot light cable can also be extended up to a total of 45 metres if desired, using the optional 10m Power LED Extension Cable between the spotlight and transformer. 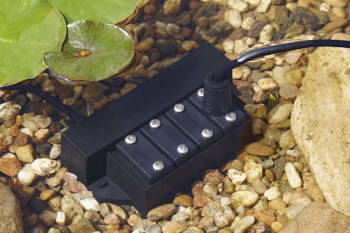 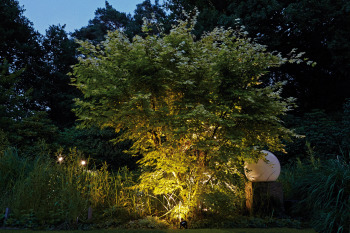 The spotlight kits are available in a Single Set 1, Set 2, Set 3 and Set 4, all supplied with Underwater Transformer and 5 metre Connection Cables.